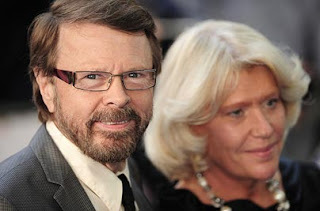 Abba star Bjorn Ulvaeus has revealed that he is suffering from long-term memory loss and cannot even remember the band's breakthrough triumph at the 1974 Eurovision Song Contest. Ulvaeus, 58, has tried everything to cure his condition, including hypnosis, but nothing has helped him recover his lost memories. The father of four composed the music for the Mamma Mia! stage music, the recently released film version of which has enjoyed the biggest film opening for a musical in the UK and been credited with generating an ABBA revival. But for Ulvaeus, it will be as though seeing the band's popularity for the first time. His condition has even made him forget their Eurovision victory in Brighton with their best-known song Waterloo - a victory that was instrumental in propelling them onto the world stage and making them one of the world's best selling bands, shifting almost 400 million records in total. "It is like I was not even there," he said. The singer, who divorced his fellow bandmate Agnetha Faltskog in 1980 and is now married to Swedish music journalist Lena Kallersjo, spends hours studying old photographs and video to try to piece his old life back together. He appears briefly but uncredited in the Mamma Mia! film, which also stars Meryl Streep, Julie Walters, Pierce Brosnan and Colin Firth and has been billed by Daily Telegraph critic Charles Spencer as "the feelgood hit of the summer".